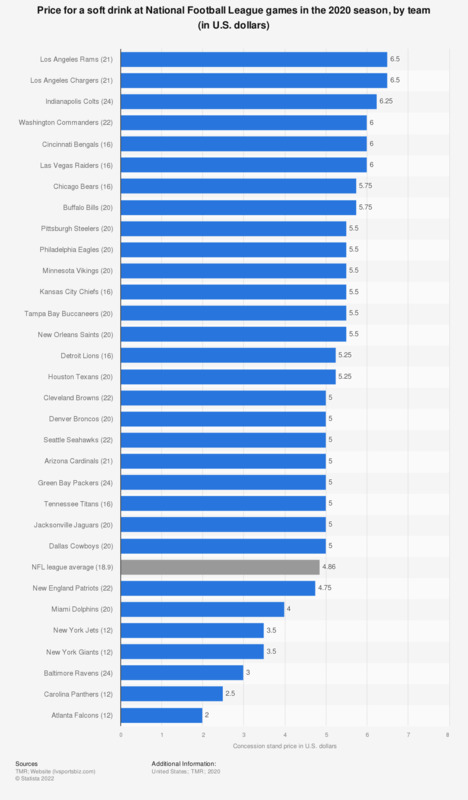 The graph ranks the teams of the National Football League according to the price of a soft drink purchased at a concession stand in the stadium. A 12 oz. soft drink sells for 6.00 U.S. dollars at Los Angeles Chargers games in the 2018 season. * Numbers in brackets next to team name denote the ounces of the beverage. Would you say you are an avid fan, an occasional follower or not really interested in NFL football? Following his second Super Bowl win, do you think that New York Giants quarterback Eli Manning is a better quarterback than his brother, Peyton Manning?